That’s right, abs too! As we all know, push ups are an excellent exercise that you can do just about anywhere. They work the chest and triceps and to a lesser extent, the shoulders. Put your feet up on an exercise ball or a chair and you can do inclines to focus more on the upper chest. Move your hands closer together and you have yourself a very challenging triceps exercise. But what most people don’t realize is that they work the abs also. You see, the abs are required to keep the body stabilized when you assume the push up position and the movement puts extra stress on the muscle as you complete each rep. Many cutting-edge exercise physiologists and strength coaches are now recommending that the most effective way to work the abs is using movements that don’t involve too much movement of the abs like crunches but to instead use movements like “the plank”, which stimulate the abdominal muscles without contracting them. It’s also becoming clear that crunches and sit ups may increase the risk of back problems. 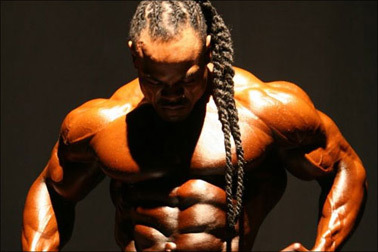 On top of having a sweet contract with supplement company MUSCLE MEDS, 35 year old Kai Greene has left Muscular Development magazine to sign an exclusive publishing deal with Weider Publications/AMI. This is going to REALLY piss off Steve Blechman (owner of MD) because Kai has been the post boy for that magazine for years now. With MD stealing Jay Cutler from Weider just a few weeks back, I guess this is just a little payback! “I’m excited and I feel many steps closer to the goals that I dream about,” Greene said. “The first bodybuilding magazine I ever read was Muscle and Fitness, but FLEX wasn’t long to follow. To become a Weider athlete and be a part of the Weider organization is like watching a little boy’s dream come true … Myself and my team are very thankful and happy with all of the success we’ve been able to experience thus far … We’re not totally fulfilled yet, though. We still understand we have a lot of work to do and are happy to do that work. 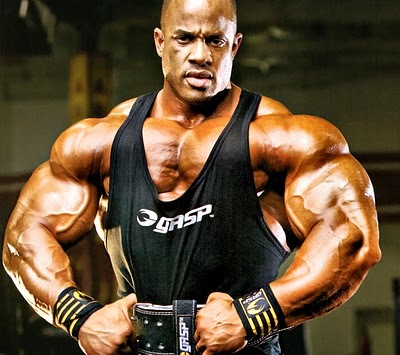 I’m thankful for the opportunity to do it in this fashion, as a Weider athlete.” Greene said. Pull Ups Best for Upper Body? If you were only allowed to do one exercise for upper body, what would it be? To answer this question, you would probably want to consider a movement that worked as many major muscle groups as possible, something you can do just about anywhere and that allows you to adjust the intensity. Probably the best exercise to satisfy all of these needs is the pull up. Pull ups primarily work the lats (the upper, outer back) and the biceps but they also involve the rest of the back, the traps, chest, deltoids (shoulders) and forearms. No other single movement can work that many upper body muscles. You also don’t even need to belong to a gym to do pull ups, you can use an inexpensive chin up bar that fastens easily into a doorway, rafters in a garage, the branches on a tree, you could even rig up a bar or rope between any two sturdy objects. Read morePull Ups Best for Upper Body? 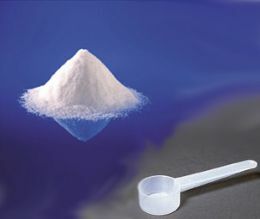 First and foremost thing that you must keep in mind is – there is no single creatine dosage that is right for everyone. The creatine dosage routine that you select all depends on your body, your daily routine and needs. It all depends on your body’s weight, your body fat percentage, fitness goals that your are aiming, and the type and intensity of training that you are performing. Creatine dosage should be adjusted according to your individual needs, or as advised by your health or nutritional practitioner. 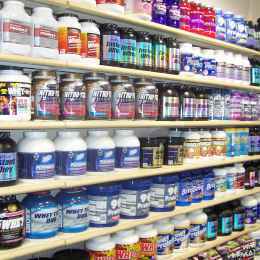 What is the recommended dosage for Creatine Monohydrate? The typical dosage for pure creatine monohydrate is approximately 10-30 grams/day for a normal man. But there are many creatine products coming in the market nowadays. 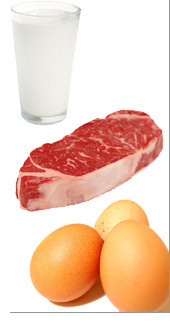 So, your creatine dosage depends on the type of creatine monohydrate supplement you are taking. It is always recommended to take the dosage as recommended on the product label. You must also read the directions to take creatine as written on the bottle. Your creatine dosage should be divided into 3 phases namely loading phase, maintenance phase and wash out phase. 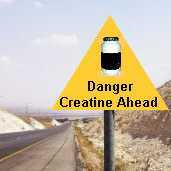 Many experts recommend cycling creatine. They recommend that you load up with 20 or 30 grams per day for five days, take a maintenance dosage of five to 20 grams for two or three months and then discontinue it for a month or two. Many athletes believe this is the only way to take creatine. This is a fairly closed-minded approach. There may have been a few reasons for getting off of creatine that were justified years ago but they are not justified now. 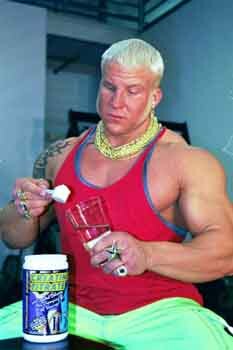 Many years ago, there was some legitimate question concerning the safety of creatine. Some people with various muscular diseases had used creatine for years without any apparent side effects but at that time, there had been no specific, organized study of potential side effects over the long haul (over six months). Because of this situation, it may have been prudent advice to take some time off creatine. That way, if it did have any negative effects on the body, there would be time between cycles for the body to readjust. Now however, according to the American College of Sports Medicine’s roundtable meeting, there isn’t any definitive scientific evidence that creatine is harmful. One study even found creatine to be safe when subjects took it for up to five years and as much as 80 grams per day! Despite being the most researched and proven sports supplement ever, most people don’t have all of the facts straight about creatine. The main questions I get asked are how and when to take it, is it safe? should I cycle? what should I take it with? What shouldn’t I take it with? and about the different forms of creatine. In the following two-part article I’ll address all of these questions and more, so that you can make the best choices around your creatine use and that means that you’ll be able to get the best possible results from your efforts in the gym! First off, let’s go over the basics. There is no reason for me to bang on about the benefits of creatine. It is so effective at building strength and muscle (if used properly), that even the extremely restrictive UK advertising authorities have allowed companies to make these kinds of claims about it. More impressive is the fact that there are over 3,000 studies on creatine and exercise! So creatine is without question the real deal. Next, let’s get the safety issue out of the way. As long ago as 2000, a roundtable of 12 of the world’s foremost creatine experts found “no definitive evidence” that creatine has any side effects whatsoever and the results were published by the American College of Sports Medicine. 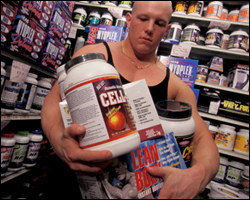 One study even found creatine to be safe when subjects took it for up to five years and as much as 80 grams per day! Actually, in some studies, the “placebo” group (that didn’t get creatine) reported more negative effects than the creatine group. In the last instalment, I discussed the massive scientific support for using creatine monohydrate, addressed some very common myths about it and talked about how and when to take it and whether you should cycle on and off it. Now I’ll address the different kinds of creatine and what you should be taking with this proven muscle-builder to ensure you get the absolute maximum results from your gruelling sessions in the gym. What Type of Creatine Should You Use? This has to be the most controversial creatine topic because there are a few companies who are selling millions of dollars worth of fancy new creatine products that may not be any better than plain old creatine monohydrate. Here’s one important fact that everyone should know about creatine – regular creatine monohydrate is absorbed virtually 100 percent from the digestive tract. This has been known for over 90 years and anyone who says otherwise is NOT an expert on creatine. So if you see a creatine product claiming that it is ‘absorbed’ better than regular creatine monohydrate, you should be sceptical to say the least. Because creatine is fully absorbed from the gut, the trick is to increase the ‘uptake’ of creatine from the blood into the muscle and that can only be done through increasing the levels of certain hormones and cellular transporters in the body (more on this later).